We were being hammered with the message that Russia is nothing more “than a gas station masquerading as a country”. Russia’s economy was supposed to “be in tatters” once the oil revenue drained, for supposedly Russia produced nothing else. Well, now their dream of low oil prices have come true, but somehow it failed to materialize in the annihilation of Russia’s economy. The industry is intact, showing a slight growth of 1% for the two months of this year and having reported only a negligible decline of 3.4% for all of 2015. Unemployment has persistently stayed at levels of 5.8%. The trade balance for the year was a whopping 46% of exports leaving $160 billion in Russia’s coffers. The imports are at historically low levels because Russia’s diversified economy now produces domestically most of what it consumes, as I reported earlier. The gold and currency reserves stand at 370 billion at the most recent bean count. Last week more cold water was poured on the Russia bashers as it was reported that the share of oil and gas in the country’s tax revenues had fallen to only 21% as per the situation at end of February. This is a far cry from the 50% that Western “experts” habitually claim that oil and gas account for. 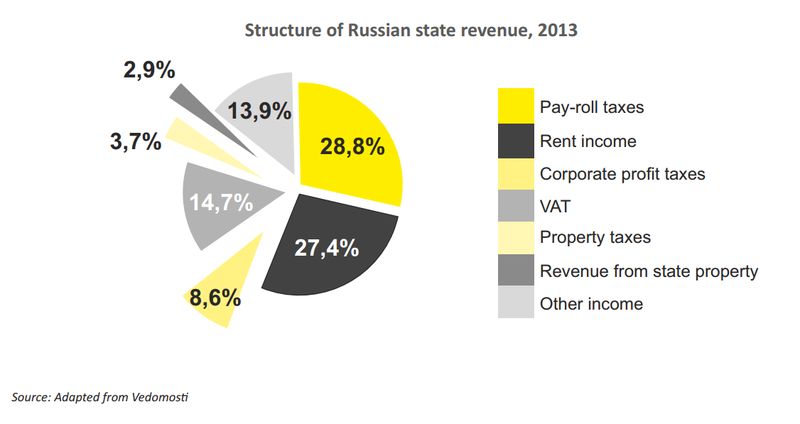 Once more, this shows that Russia has a sufficiently diversified economy and other sources of income when oil is down. Hereby Russia runs a quite acceptable, by Western standards, budget deficit, which is expected to be 3.8% of the GDP (consolidated budget), down from 4.6% in the previous year. I must, however, here alert to a discrepancy in the figures that a keen reader could possibly spot. In fact, the Russian government reported that the oil and gas revenue had fallen to comprise 37.4% of the federal budget revenue and not the 21% of which I wrote above. The key word here is federal. For some archaic reasons, which I cannot fathom, the Russian Ministry of Finance publishes its reports in reference to the misleading “federal budget”. The correct reference would be the consolidated budget. Thing is that due to an accounting convention and administrative rules the Russian budgetary system is divided into three main categories: the federal budget, the regional budgets, and the state social security funds. The various types of taxes flow into one of these budgets, and only a consolidation of them all in one will show what is the total revenue of the state. 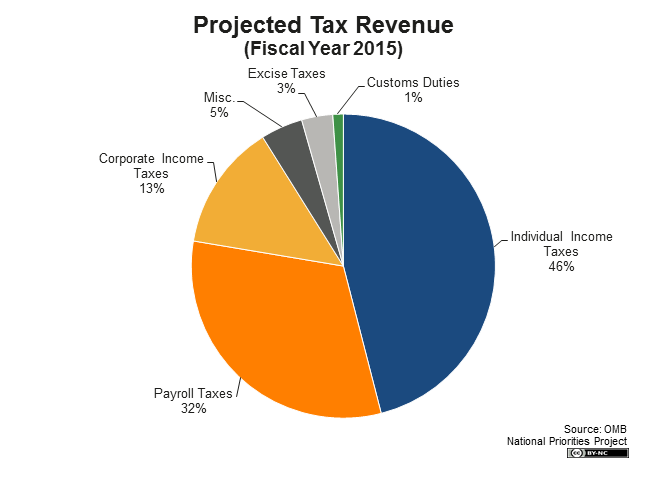 All of the personal income tax and approximately two-fifths of the corporate profit tax as well as the social security contributions (referred to as ‘payroll taxes’ in economic speak) stay outside the federal budget. It is easily conceivable that this division is changed from one year to another, indeed what has frequently happened over the years. Indeed, in most countries those listed types of taxes (state revenue) are contained in one budget. Suffice to glance at the budget of the United States (below chart). By excluding from the U.S. budget all the types of tax revenue that the Russian ministry had excluded from its comparison, more than 80% of the U.S. budget revenue would disappear as well. This chart is from a groundbreaking study, which Awara published in December 2014 arguing that the Russian economy was much more diversified and modern than what was commonly believed. Russia’s resilience during the period of sanctions and low oil prices has basically vindicated the study. In the chart, the black slice named “rent income” refers to the revenue from oil and gas, which at that time (data for year 2013) made up 27.4% of the total state income. Already then the personal income tax was the biggest bread winner of the country. The liberal economists and their media have a very perverse relation to Russia’s oil and gas industry: they hate its share in exports and in tax revenue. I guess they hate it because it helps to keep Russia independent. 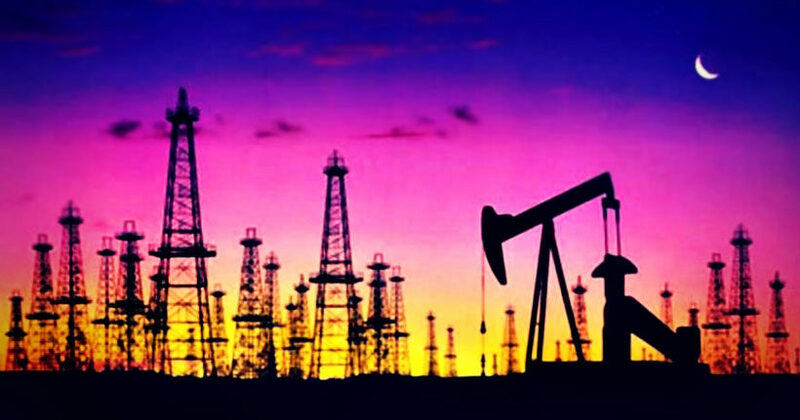 A good example is provided by how the Russian liberal business daily RBC reported on the news that the share of oil and gas revenue (in the federal budget) had dropped to 37.4%. First, they contend that “The collapse of oil prices helped the government to decrease the dependence of the budget of oil and gas”. For sure, it did not “help” them a bit, on the contrary they had a difficult time in restructuring the budget so as to accommodate the decline. An “expert” whom they interviewed went even further telling that the decline of the oil price amounted to a “welcome service” helping the budget to cut its hydrocarbon reliance. But, the expert continues, the government has no right to brag about this “achievement” as it has come about exclusively “thanks to” low oil prices. What can I say, they are so happy about falling oil revenue that they fall over themselves in insisting that the government has no hand in this “success”. How about recognizing that what this actually means is that Putin has over the years managed the economy so that the decline did not wreck the country? It is not the decline that should be celebrated, but the fact that the decline was manageable.